Closing date is midnight on Thursday 18th April. Rules in relation to the selection criteria for the SIAB International T&F have changed. See all the details here. Online entry is now open at this link - https://ireland.entry4sports.com/wp-login Closing date is Tuesday 23rd April at midnight. Closing date is Wednesday 8th May at midnight. See AAI review & results here. Online entry will be available shortly. Details will be sent to all Clubs when ready. Wednesday 1st May in Templemore Track for Girls and Thursday 9th May in Waterford RSC for Boys. All entry details have gone out to the schools today (Monday 8th April). See all the details on the East Munster Schools website here. Online entry will be available shortly. Closing date is midnight on Tuesday 23rd April. The County Intermediate Road Championships were held in Ballyneale on Sunday 7th April. There were wins for Thurles Crokes A.C. duo Jacqueline Hughes and John Fitzgibbon in the Women's 4km and the Men's 8km races with Dundrum A.C. taking the team title in the Men and Moyne A.C. in the Women's competition. See Results here. Photos here. 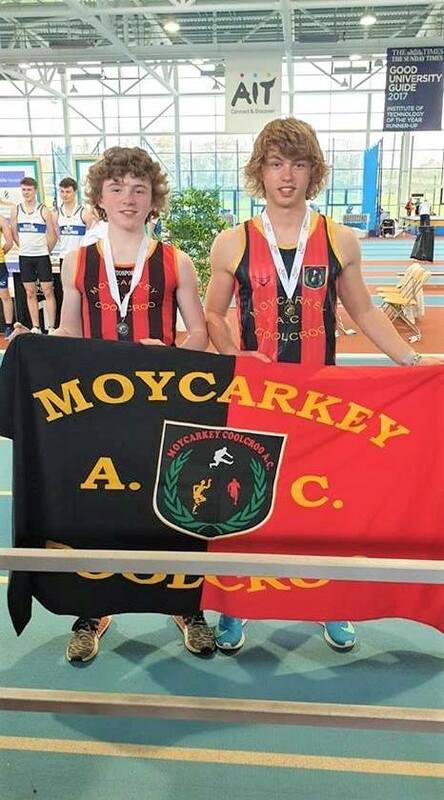 There was a gold medal win for Jack Ryan, Moycarkey Coolcroo A.C. in the Boys U/19 Shot Putt (14.10m) with silver medals for Mark Carroll, Templemore A.C. (Boys U/17 LJ 5.89m) & Nenagh Olympic A.C. Boys U16 4 x 200m Relay (1.38.64). Bronze medals were won by Jack Barnett, Templemore A.C. (Boys U/17 Shot Putt 11.96m) and Templemore A.C. Boys U/12 4 x 200m Relay and Boys U/13 4 x 200m Relay. Just outside the medals were Anna Ryan, Moycarkey Coolcroo A.C. (4th Girls U/18 Shot Putt 11.61m), Fiona Hennessy, Templemore A.C. (4th Girls U/19 Shot Putt 9.15m) & Dillon Ryan, Moycarkey Coolcroo A.C. (4th Boys U/17 LJ 5.87m & Shot Putt 11.94m). Congrats to all. See AAI Review here. See Results here. Sportfile pictures here. Well done to our medal winners, Sharlene Mawdsley, UL/Newport A.C., 2nd 200m (24.21), Maria Carey, UCC/Newport A.C., 2nd Triple Jump (11.24m), Ciara Cummins, DCU/Nenagh Olympic A.C., 3km S/C (11.50.50) & Darren Prout, LIT/Carrick-On-Suir A.C., 400mH (54.60). Sharlene Mawdsley was also part of the UL 4 x 400m Relay team that won bronze. Other Tipp athletes who performed well were Aoife Delargy, UCC/Nenagh Olympic A.C. (5th 800m 2.22.36), Darren Dunne, UL/Nenagh Olympic A.C. (5th 5km 15.22.21), Michael Carey, DCU/Clonmel A.C. (4th 3km S/C 9.52.33) & Margaret Mary Grace, WIT/Nenagh Olympic A.C. (8th 400m 61.88). Catch up with all news here. See photos (5 albums) from Kevin Clancy here. The Daily Mile nominated for Best Programme or Campaign to Increase Participation. A big congratulations to Martin Leyden, Templemore A.C. and his new wife, Sheena. Martin & Sheena tied the knot in Shrewsbury, Shropshire on Saturday 16th March. Sheena will now settle in Killea and will no doubt be helping Martin with fundraising! We wish them both a long and happy life together. Reminder: Online entry closes at midnight on Thursday 4th April. Our thanks to Brother John Dooley for the report. Entry forms have gone out to all Schools. See timetable and other details here. Day 1 and 2 of the Irish Life Health National Juvenile Indoor Championships took place in the AIT International Arena, Athlone on Saturday 23rd & Sunday 24th March. Tipperary athletes were in good form winning 3 gold, 5 silver & 5 bronze with Pole Vault being a strong event for the County. Gold medals were won by Shane Buckley, Dundrum A.C. (Boys U/14 800m 2.15.86), Adam O'Dwyer, Moycarkey Coolcroo A.C. (Boys U/18 Pole Vault 3.80m) & Joseph McEvoy, Nenagh Olympic A.C. (Boys U/19 60mH 8.46). 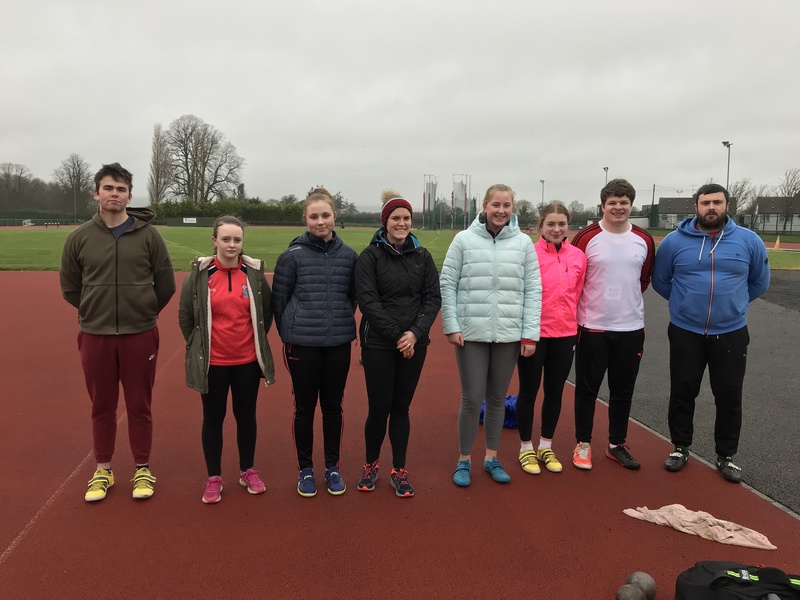 Silver medals were won by Ellen O'Dwyer, Nenagh Olympic A.C. (Girls U/15 High Jump 1.55m), Ronan O'Dwyer, Moycarkey Coolcroo A.C. (Boys U/15 Pole Vault 2.45m), Jodie McGrath, Nenagh Olympic A.C. (Girls U/16 Pole Vault 2.90m), Anna Ryan, Moycarkey Coolcroo A.C. (Girls U/18 Pole Vault 3.10m) & Joseph McEvoy, Nenagh Olympic A.C. (Boys U/19 High Jump 1.95m). Our bronze medal winners were Ceola Bergin, Templemore A.C. (Girls U/14 Shot Putt 11.45m), Sam O'Sullivan, Clonmel A.C. (Boys U/15 Walk 5.16.45), Ben Connolly, Nenagh Olympic A.C. (Boys U/16 Pole Vault 3.20m), Miriam Daly, Carrick-On-Suir A.C. (Girls U/19 400m 56.49) & Sean Carolan, Nenagh Olympic A.C. (Boys U/19 Long Jump 6.44m). Congratulations to them all. Sportsfile photos: Day 1 Day 2 . See AAI Review here. See AAI Review of World Cross Country Championships here. See AAI Review & results here. Sportsfile photos here. Good luck to Sean Tobin, Clonmel A.C. who competes at the World Cross Country Championships in Aarhus, Denmark on Saturday 30th March. A big congrats to Ross Alexander, Coolquill A.C. who won a bronze team medal in the 10km Walk along with Bob Lyne, Crusaders A.C., a regular visitor to Tipperary for our Championships & Anthony Malone. Ross finished in 5th place overall in a time of 59.02 and just missed out on a M35 medal in the 5km Walk when he finished in 4th place in 15.21.40. Hazel Galloway, Clonmel A.C. ran a seasons best in the 60m of 9.69 to finish 10th overall in the W60 60m and was 9th overall in the 200m (33.90). John Laste, Clonmel A.C. was 41st in the M55 8km XC (44.17) with Bernard Feery taking part in the M55 Half Marathon and Susan Laste also competing well in the W50 category as well as Willie O'Donoghue, Mooreabbey Milers A.C. in the M50 category (results to follow). See Photos from Susan here. Congrats also to Joe Gough, West Waterford AC. who is 800m World Master Champion for the 6th time, winning the M65 category. See photos and info on Joe here. Well done also to Annette Quaid, Leevale A.C. who won silver in the W40 800m despite suffering a heavy fall. See race here. John Treacy Wins World title in Limerick in 1979. Sunday 31st March in Ballingarry @ 12 noon. 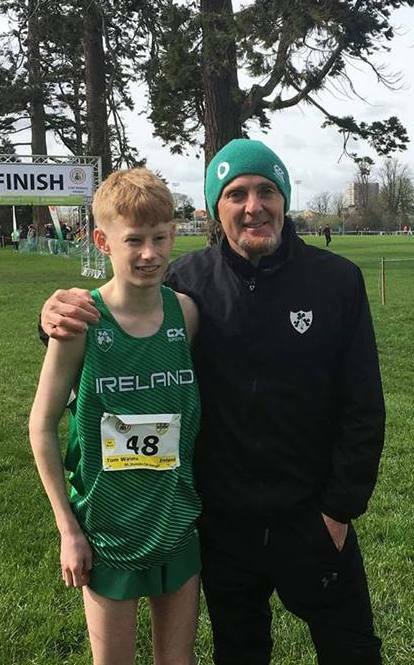 Congrats to Tom Walshe, CBS Nenagh/Nenagh Olympic A.C. who earned his first Irish vest to compete at the SIAB Schools XC International in Santry Demesne, Dublin on Saturday 23rd March. Walshe finished 29th overall in the Junior Boys race to win a bronze team medal with Ireland. See Results here. See Selection Policy & Standards here. Sunday 24th March @ 12 noon. Closing date for entries is midnight on Thursday 21st March. Registration at the Club House in Templemore Track with Start Lines 3/4 miles away. Please ensure you leave plenty of time for registration and getting to the Start line. See Preview written by Niall O'Sullivan here. The last session of the Munster Development & Performance Squads takes place on Saturday 23rd March in Templemore Track. Development Squad from 11am to 1pm, 5 euro per athlete. Events covered will be Short Hurdles (Lilly-Ann O'Hora), Shot Putt (Dave Fratarolli), Long Jump (Pat Power), Pole Vault (Eamon Flanagan) & Walks (Frank Lynch). THERE WILL BE NO MIDDLE DISTANCE. Both the Development & Performance Walks will take place TOGETHER at 1pm. Performance Squads from 1pm to 3pm, all events will be covered. Discus coach, Sean Whitney will be available from 11am to 3pm. Thanks to everyone who helped out yesterday and to all the Clubs who supported their Championships. 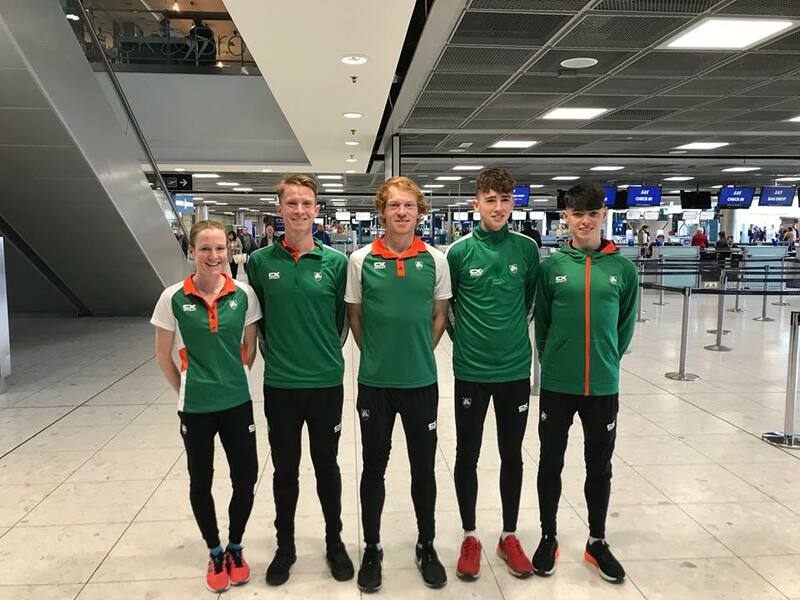 Congrats to Sean Tobin, Clonmel A.C. who has been selected for the Irish Senior Men's team to compete at the World Cross Country Championships in Aarhus, Denmark on Saturday 30th March. First session for U/9 to U/12's starts at 10am with U/13 to Junior starting at 2pm. Parking Restrictions will be in effect at Stadium. See here. Can all Clubs please let their relevant athletes, parents & coaches know. Registration in the Club House at Templemore Track with start lines 3/4 miles away. Please leave plenty of time on the day to register and get to the start line. Closing date is midnight on Thursday 28th March. All details will be sent out to schools shortly. 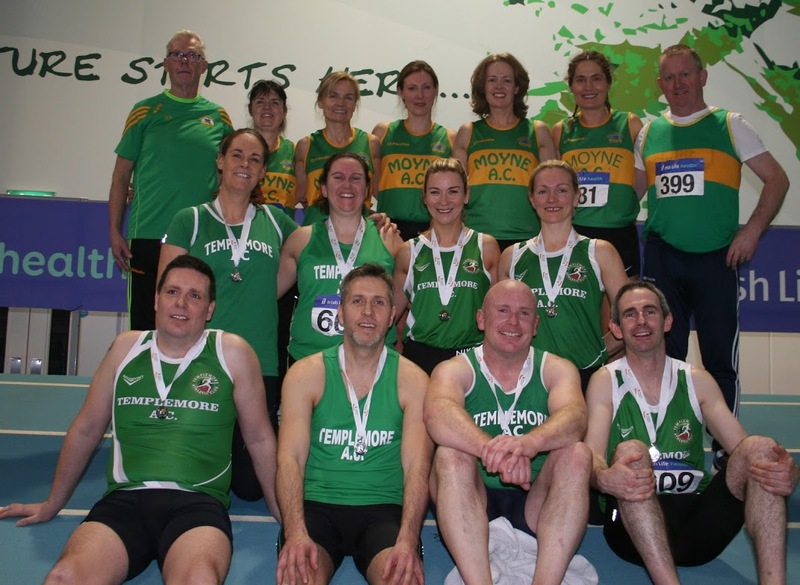 Tipperary athletes were out in full force at the Irish Life Health Masters Indoor Championships on Sunday 10th March in AIT International Arena. 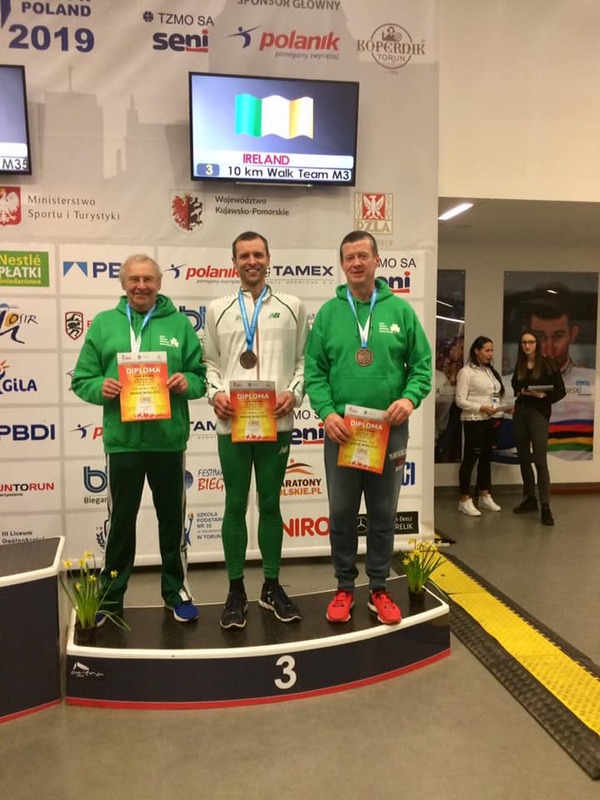 The County had multiple medal winners in Patrick Naughton, Nenagh Olympic A.C. (gold in M85 60m, Shot, LJ, HJ & WFD) also setting CBP's of 8.11m in the Shot Putt & 2.16m in the Long Jump, Matt Alexander, Coolquill A.C. (double gold in M65 3km & 1500m), Larry O'Grady, Mooreabbey Milers A.C. (gold in M55 Shot & silver in HJ & WFD), John Dwyer, Templemore A.C. (gold in M35 WFD & silver in Shot), Esme Alexander, Coolquill A.C. (gold in W55 800m & bronze in 400m), Hazel Galloway, Clonmel A.C. (W60 60m & 200m), Hazel Galloway, Clonmel A.C. (double silver in W60 60m & 200m) & Genevieve Rowland, Templemore A.C. (2nd in W35 60mH & Shot), Templemore A.C. clinched silver medals in both the Women's and Men's 4 x 200m relays. Gold medals were also won by Catherine Madden, Borrisokane A.C. (W35 HJ), Ross Alexander, Coolquill A.C. (M35 3km Walk), John Moore, Dundrum A.C. (M60 3km) Silver medals were won by Danny Meaney, Templemore A.C. (M35 Long Jump), Eddie Cahalane, Coolquill A.C. (M70 1500m) & Dermot Hayes, Dundrum A.C. (M50 3km). There were bronze medals for Liz Power, Moyne A.C. (W50 60m), Kevin Shorthall, Templemore A.C. (M35 HJ), Alan Carter, Clonmel A.C. (M40 HJ), Niall Kelly, Nenagh Olympic A.C. (M55 60m), Micheal O'Beirne, Dundrum A.C. (M85 WFD) & Willie O'Donoghue, Mooreabbey Milers A.C. (M55 3km). Congrats to all. See AAI Review from National Masters Indoors here. 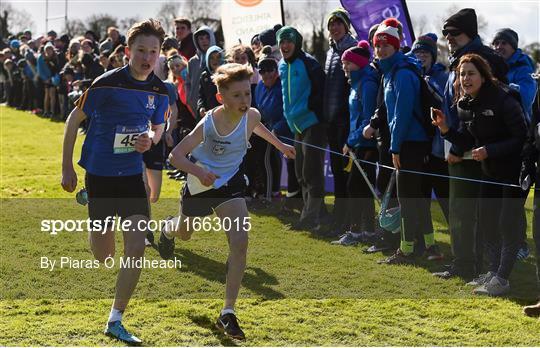 Shane Buckley, Cashel CS/Dundrum A.C. was the standout performer for Tipperary at the Irish Life Health Irish Schools Cross Country Championships in Clongowes Wood College, Clane on Saturday 9th March. Buckley took a win in the Minor Boys race in a thrilling finish where he held off Sean Lawton, Colaise Pobail Bantry for the school's title with only a second between each of the top 3 finishers. Cashel CS Minor Boys team finished in 7th place overall. Tom Walshe, Nenagh CBS/Nenagh Olympic A.C. had a good run in the Junior Boys race to finish 10th with the Nenagh CBS team finishing just outside the medals in 4th place. Leevale Throws, Saturday 27th April in Cork I.T. Many thanks to all the schools who supported the event, to Nenagh Olympic A.C. and to everyone who helped out on the day. Good luck to all our athletes who will be taking part. See Timetable here. Start Lists here. AAI Preview here. Great to see Micheal O'Beirne, Dundrum A.C. and Patrick Naughton, Nenagh Olympic A.C. getting a mention. Good luck to all our athletes who will be competing on Saturday 9th March in Clongowes Wood College, Clane, Co. Kildare. See Munster Qualifiers here. See AAI Preview here. See Timetable and Course Map here. See photos here. Our thanks to Niall Moran, photographer. Well done to the hosts, Dundrum A.C. who did an excellent job in hosting this event and showcasing our County. See Motions and Recommendations here that were passed at the recent Munster Convention in Clare. Congrats to two of our County Officers, Eibhlis Purcell and Aisling Hoey who will be taking up new roles within Munster Athletics. Fixtures on Saturday 25th May and Saturday 8th June will be swapped so the 25th will now be the Munster U/9 to U/11 Individiual and Team Games & some U/12 & U/13 Field events, Men's & Women's Walks, Women's 3km races & Senior Men, M35 - M45 5km races in Cork I.T.. and Day 1 of the Munster U/12 to U/19 T&F Championships will be on 8th June in Templemore. Munster Juvenile "B" T&F venue will be Lee's Road, Ennis, Co. Clare. Updated Timetables can also be found on the Home Page of the Munster Athletics website. Our thanks to Brother John Dooley for the information. See link to photos here. Our thanks to Darren Maher, our photographer on the night. Tipperary County Board hosted another very successful Tipperary Throws Festival in Templemore on Saturday 2nd March. 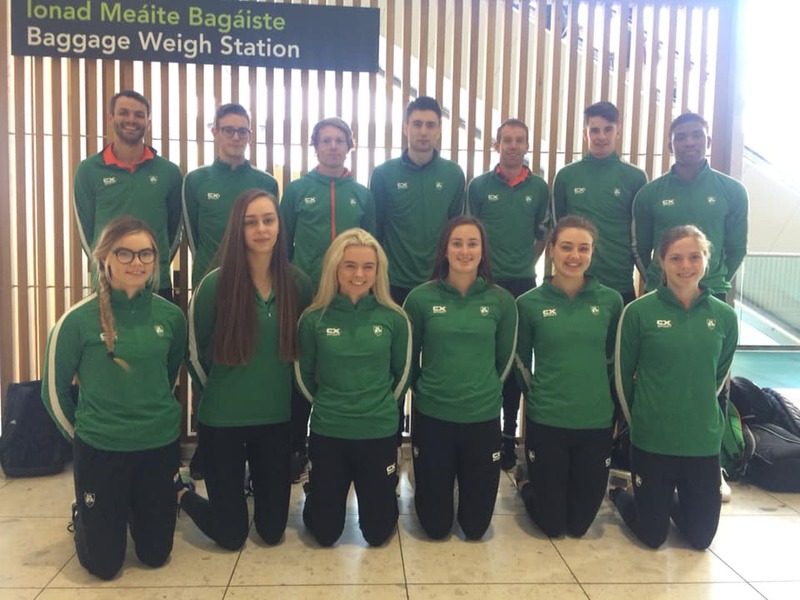 Despite the bad weather, athletes from the four provinces of Ireland travelled to compete with plenty of personal bests being set. There were some notable performances on the day with Eoin Sheridan, North Westmeath A.C. throwing a European U/23 Discus standard of 54.84m and Sean Mockler, Moycarkey Coolcroo A.C. just missing the Euro U/20 "B" standard mark in Hammer by 35cm with his best of 65.65m. 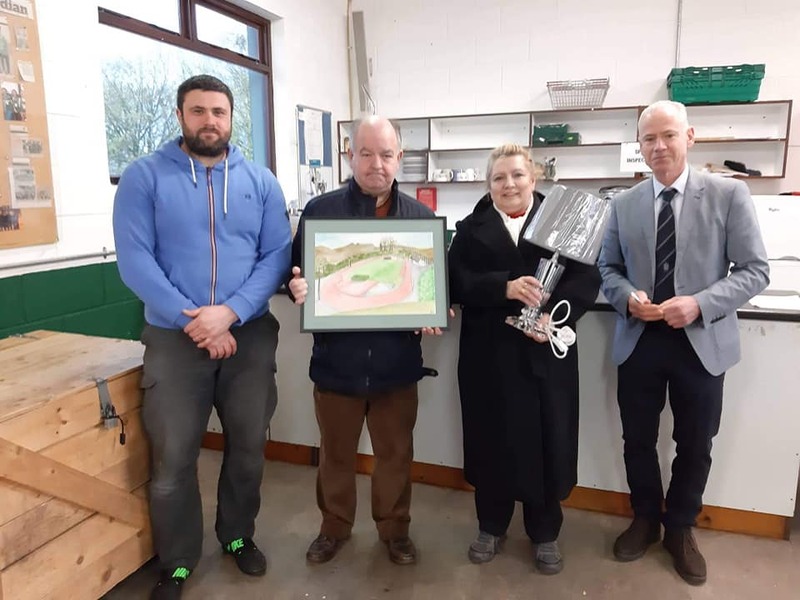 Many thanks to all who helped out for the day and great to see Dave Sweeney, our new National Jumps, Throws & Combined Events Co-Ordinator coming to visit us. Delighted to be able to welcome him to Tipperary. Sean Tobin, Clonmel A.C. placed 5th in the heat of the Men's 3000m at the European Indoor Champs yesterday (Friday) just missing out on a place in the final but running a season's best of 7.56.29. Munster 4 Mile Road Championships will take place on Sunday 3rd March in Dundrum, Co. Tipperary @ 1pm starting with the Women's race with the Men's race taking place immediately afterwards. Online entry is now LIVE (Monday 25th) and will be closing at midnight on Thursday 28th. Online entry link is here - https://ireland.entry4sports.com/wp-login Clubs will need to nominate their teams in advance of the race. Can all Clubs please send a team manager to Michael Lillis at the check-in desk tomorrow before the races start to declare their Club teams. Good luck to Sean Tobin, Clonmel A.C. who will take part in the Heats of the Men's 3000m at 12.30 tomorrow at the European Indoor Championships in Glasgow. Coverage on RTE 2 from 6.30pm tomorrow (Friday 1st). 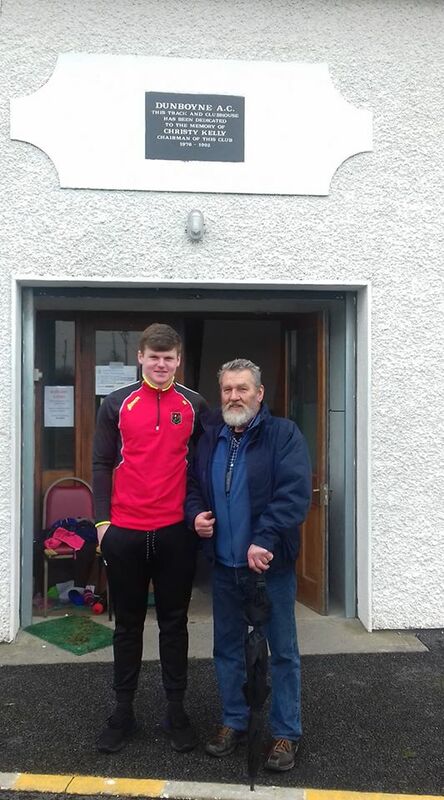 Congrats to Sean Mockler, Moycarkey Coolcroo A.C. who had a great opener for his Outdoor season when he threw a personal best and European U/20 "B" Standard of 66.82m in the Hammer at the Dunboyne A.C. Throws on Saturday 23rd February. See European U/20 Standards here. Standard Achievers can be found here. Any CPB's will be updated later in the week. The Munster Convention will now take place in the Woodstock Hotel, Ennis Co. Clare. Start time is still 11am. To get to the Woodstock Hotel, take Exit 12 from the Motorway, carry on straight through 4 roundabouts. At the 5th roundabout, turn left for Ennistymon, then take the first left for the Woodstock Hotel. The hotel is about 1 mile up this road on the left and the meeting is being held in the Doonbeg Suite. See Updated Start Lists here. Any further errors to ahoey@munsterathletics.com asap. See Parking Restrictions Notice here. Closing date for entries is midnight tonight (Wednesday 20th). Start Lists will be posted up tomorrow (Thursday 21st). Any corrections to spellings, additions to teams or individual withdrawals should be e-mailed to liamobrien@hotmail.com before Friday 1st March to ensure inclusion in the event programme.